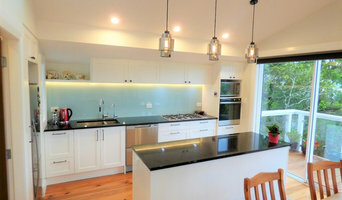 Tailored Building Solutions is a team of Auckland’s finest renovation and custom-build specialists: we are passionate about bringing your dream home to life. Founded in 2010 on simple principles: we believe that every project should be approached with creativity, quoted with honesty and finished to the highest standard of excellence. We believe that creating a space you love to live in may be the most important investment you make, and we’re committed to making the process a smooth one. We get to turn dream homes that may have lived in your imagination for decades into reality, and we don’t take that responsibility lightly. From day one, we work with customers to identify their core needs and set a clear budget that is easy to track throughout the process. Changes will occur during the build and we are flexible, but we believe clarity is key – allowing for informed decision-making and no surprise costs. 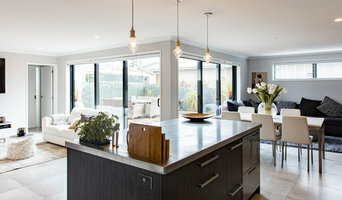 DownRight Construction is a New Zealand owner operated construction company specialising in residential construction in the wider Auckland region. Our projects are predominantly medium to large scale developments. Our unique success is due not just to our building expertise, but to the integrity, transparency and trustworthiness we bring to every project. We like to help all prospective clients and believe that there is no typical budget for the work we do, every job is different and every client has different wants and needs. Our team of builders have had experience in a vast variety of residential construction, from smaller timber home additions and alterations to large new home masonry builds. Given the complexities of building and compliance, it is imperative to hire a building company that knows the building process from start to finish in order to save clients time and money. Artbuild is a construction company that specialises in home renovations. With our proven Renovation Planning System that covers every aspect of a successful home renovation, we will ensure that your dream home renovation is completed on time and within budget. You’ve heard the horror stories about budget blowouts, delays, compromises and poor quality. It’s a different story with Artbuild. Renovating your home can be one of the most stressful times of your life. Or you can team up with Artbuild for an experience that is enjoyable, creative and fulfilling. We know that your house is probably your biggest asset and the heart of your family, so we regard working on it as a privilege. You can check our website and download our e-book "The Secrets of Renovation Success". The e-book is free and will not only give you extra insight into the possibilities and pitfalls of home renovation, but will also tell you how to renovate your Auckland home and come out smiling. 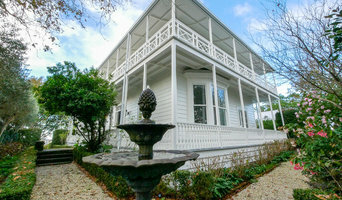 I started renovating New Zealand Villas, in my early twenties. Soon after I was qualified, I departed for my OE experience, where I found myself settled in the Netherlands owning and operating a building company for a period of 10 years. I returned to New Zealand with my Partner Myrthe for the Kiwi lifestyle and my family. We now have our two girls Bobbie & Jools. I have seen the New Zealand building industry changed massively over the last 25yrs.Continuous up-skilling and learning are vital in today’s building industry as it is evolving rapidly. Having quality experienced staff within a motivated team culture is the key to providing a great customer experience and an enjoyable journey. We have a knowledgeable, honest and reliable team of builders that absolutely love what they do. We are home renovation specialists. A motivated team of carpenters that specialise in medium to high end building projects and Villa's. We have a fantastic tradesmen that are passionate about building. We pride our shelves to high attention to detail and craftsmanship, we will always do our best to bring even the most specific architectural details. As Certified & Licensed builders, we offer one of the most comprehensive independent 10 year guarantees. We also offer a Yourbuilder 10 point guarantee. Catalyst Construction Limited is owned and managed by husband and wife team Karl and Erin Braithwaite. Managing Director, Karl has over 15 years experience in the building industry, and has worked in London, Manchester, Sydney and Auckland. His experience includes working on projects such as multi-million pound renovations in Knightsbridge London, architectural homes in central Auckland, right down to small jobs such as decks and cladding repairs. Prior to completing his Trade Certificate in Carpentry, Karl completed a Bachelor of Leisure Studies at the University of Waikato and also trained as PADI Dive Instructor. This varied background contributes to his ability to run a successful business, communicate well with clients and stakeholders and mentor and train staff. Karl was also recently employed on contract by the Department of Building and Housing to assess Licensed Builder applicants to determine whether they had the skills and knowledge to be granted LBP status. Karl and his family live in Cockle Bay, Auckland and have two small children. Catalyst Construction is your first point of contact when you are considering a building project. We can provide expertise advice at any stage, from submitting plans for consent through to completing an unfinished job. We are committed to being the catalyst to deliver great quality building outcomes, so we only work with staff and sub-contractors that can help us to deliver this mission. Catalyst Construction is a Registered Master Builder and offer the 10-year Master Builders Guarantee and also peace of mind that you are working with one of the best in the industry. Steve of Golder Residential Ltd has been building top quality residential homes in the Auckland area for the last 25 years. He has a passion for providing the finished product to a very high standard. Being a Registered Master Builder and Licensed Building Practitioner, Golder Residential has entered in House of the Year competitions and won many gold and category awards over the years. We carry out a variety of building services, mainly architecturally designed homes but also additions and alterations, leaky building repairs and also light commercial work. We have a great team of highly skilled and dedicated people who have formed excellent relationships with our clients, architects and building sub-trades. Craft Homes Ltd is a small company with a personal approach to all of our building projects. We specialise in residential and light commercial renovation, re-clads and new builds. We pride ourselves on maintaining good communication with our clients from transparent pricing systems through to thorough project timelines. As a company we will provide an efficient and professional approach to your building project by providing "in house" project management and quality workmanship from all of our employees to ensure that your project will be delivered on time and within your budget. New Wave Construction are specialists in architectural construction. With a passion for good design, the team enjoy working alongside both homeowner's and architects to turn ideas into reality. 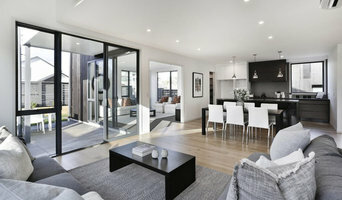 SCR are quality licensed & registered 'Master Builders' serving Auckland. We pride ourselves on our professionalism and attention to detail to produce results that surpass client expectations. Your building journey is our building journey. Manly Construction specializes in residential construction and have completed numerous projects. We are a team of 6-8 carpenters who have worked together for a number of years. Our team is passionate about delivering a high quality product, be it in the form of a new build, a renovation or an addition. We work closely with other sub trades who we have used over the years and this team environment allows us to deliver a high quality product. If you have an upcoming project that you think may suit us then give us a call or alternatively flick us an message. We’re family people, and we know how important a good home is to every Kiwi family. That’s because we ‘ve been there ourselves. We built the home we live in, and we know what a complex and worrying business building your own home can be. So when we started Riva Homes, we started by asking ourselves this question: if we were building a new home now, what would we want? We’d love to work with you to create your dream home, just the way you want it. Whether you’re undergoing home renovations or building from scratch, hiring the right home builder is essential. Your choice will determine the quality of craftsmanship, as well as how high your stress levels rise! A home design or building project is a huge and multifaceted undertaking, so it’s important to find a local Howick builder you can trust to bring your vision to life and keep the process under control. The Houzz professional directory of home builders is a great starting point to choose the right builder for your needs. What exactly do Howick home builders do? Before any nails are hammered down, construction companies perform market research to determine whether the prospective site for a new home in Howick makes sense. They also survey the land to make sure it is suitable for construction, and obtain any necessary permits. Scroll through this page to find contractors in Howick. Then, click on a professional to browse photos of their latest projects and see how their work compares to the scope of your project. Read reviews to see how other homeowners rate their work, and message the home builder or construction company directly to ask any specific questions.